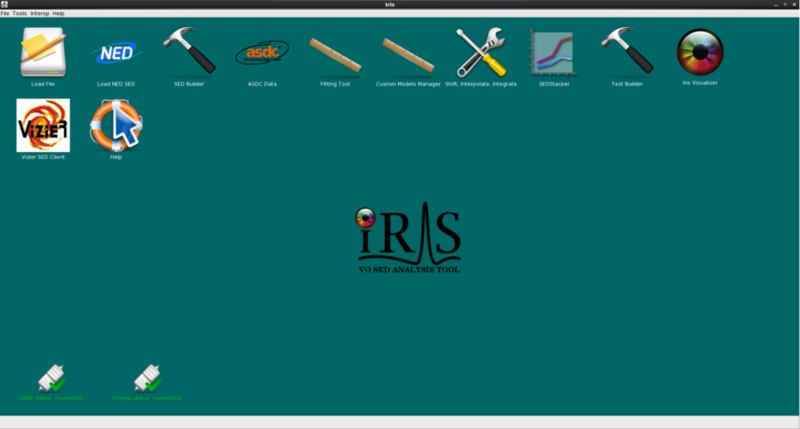 The Iris software package is available for download through Anaconda. Iris is supported on 64-bit Linux and Macintosh OS X 10.9 - 10.11 computer platforms. Download and install conda, if you do not have it. If you already have Anaconda or Miniconda installed, skip to step 2. Iris uses conda for packaging and distribution. If you do not have Anaconda or Miniconda (a minimal version of Anaconda), download either for your platform. These directions assume you are downloading Miniconda. If you wish to download and install Anaconda, replace all “miniconda” references with “anaconda”. Install Miniconda to the directory of your choice. Installing Miniconda in batch mode assumes the user agrees with the end user license agreement. For example, if you want it installed in your home directory, use export $MINICONDA_DIR=$HOME/miniconda. Create a conda environment named “iris” with Iris installed in it. Say yes (enter “y”) when the download script asks you to “Proceed” in installing the packages. The terminal output will provide a record of the test and indicate a successful termination or failed attempt. For more details on the Iris smoke test, see the Iris Smoke Test page. With a successful smoke test run, you’re ready to use Iris. Iris must be run from the conda environment created during installation. It is launched with the command iris. IMPORTANT: If you have set “iris” as an alias in your $HOME/.bashrc or $HOME/.bash_profile to run an older version of Iris, please rename the old alias to something else (for example, “iris2.0.1” for Iris v2.0.1). Else, you may launch an older version of Iris. If you already have Iris installed in a conda environment (Iris v2.1 or higher), you may simply run conda update iris in your Iris environment. This will update your Iris installation to the latest version available.